They say the squeaky wheel gets the grease. Could that explain why the ever silent Kawhi Leonard hasn’t been getting any calls lately? Raptors coach Nick Nurse certainly seems to think so. Outraged after Toronto’s 95-86 loss in Denver on Sunday, Nurse said Leonard wasn’t getting an extremely raw deal from the officials. “It’s ridiculous. The guy is one of the best players in the league, and he doesn’t complain, he doesn’t do this, he doesn’t do that, and they just turn their head and go the other way. It’s been going on all year. Leonard, meanwhile, was unsurprisingly all business when asked for his thoughts on the matter. 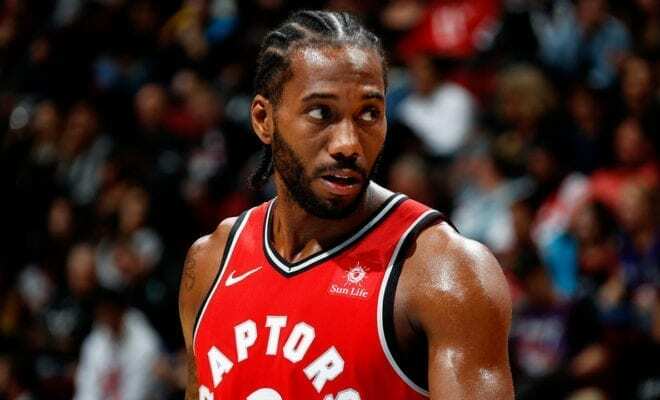 Despite the alleged rough treatment from opponents and referees alike, Leonard is still averaging 26.3 points, 8.4 rebounds and 3.1 assists for Eastern Conference leading Raptors.